A little winter shot from todays walk in the woods. Here is another Dandelion. Because of the breeze I found one low to the ground and used my prone body as a windbreak. I must say that Adox CMS 20 is worth the effort. The negatives are practically grainless. I must say that my ASA dial on my Hasselblad has never been to such a low value before. In fact it’s the slowest film I’ve ever used. Other than that it’s just a normal process with a couple of things that are different. 1. I had to use a proper stop solution (Ilfostop). 2. You fix the film for only 30 seconds. I felt like I just poured in my T-max fixer and poured it out again. Other than that everything else was the same as usual. I think that given an even better scanner than my V700 I could squeeze even more from these negs. But you have to use what you have. I have printed this shot for framing and it looks great so all in all I’m very pleased with this film. There will be other shots using this film very soon. But until then you can enjoy this one and the last two. Taraxacum officinale, or the common dandelion to us less proficient in Latin. Here with a visiting insect. Adox CMS 20 at 12 ASA. Developed in Adotech II for 8.5 mins at 20˙C Stopped with Ilfostop and fixed with T-max fixer for 30 seconds. Adox CMS 20 first try. 120 roll film exposed at 12 ASA. This exposure was 1.5 seconds. Taken on my Hasselblad 203 FE with a Carl Zeiss 80mm FE on E56 extension tube. Developed in Adotech II mixed at 1+29 = 500ml=17+483 ml for 8.5 mins at 20˙C . Stopped with Ilfostop for 1 min and fixed with T-max fixer for 30 seconds.Wash as normal 10 mins. The nearest I’ll get to being a wildlife photographer.This pigeon just kept coming back to me while sitting on the bench. 2. Is the right type for your make of camera. While on the subject of lenses. I use an old manual focus lens or an old autofocus lens that has an aperture ring If you haven’t got one all is not lost you can use a G type lens you just haven’t got an idea of what aperture you are using. I have found that a 28mm lens is a good place to start. 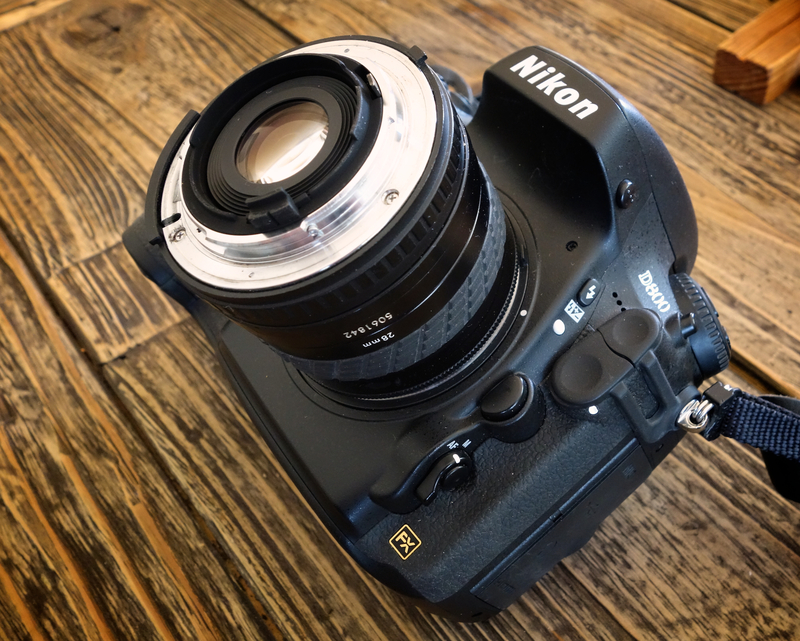 Although I have used a 50mm without problems. It’s all to do with ratios and the like. Anyway as it’s the picture that is important I won’t go into that side of things so just trust me. The choice of lens will however affect your working distance to your chosen subject. So how do you work the aperture of your lens? The aperture on your lens is spring loaded so that your aperture will in effect be f22 when mounted and when you look through your viewfinder or at your live view screen you will see a darker image than what you are used to. 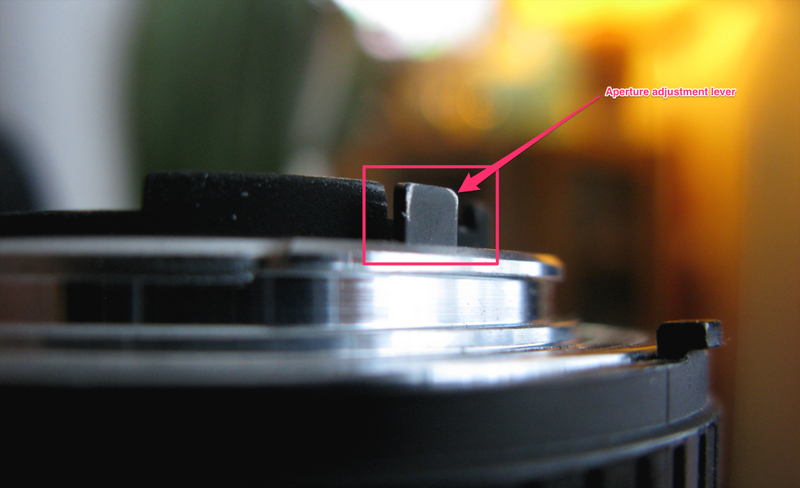 However by locating the aperture control lever on the lens you can open the aperture manually for composing and focusing your shot. This can be tricky to do, you can tape the lever open or Blu-Tac it. I prefer to hold it open and move the camera into focus. I then close the aperture to the desired value and adjust the manual settings on my camera to match the measured light and bracket my exposures. It’s a bit of a fiddle but you are rewarded for your efforts. 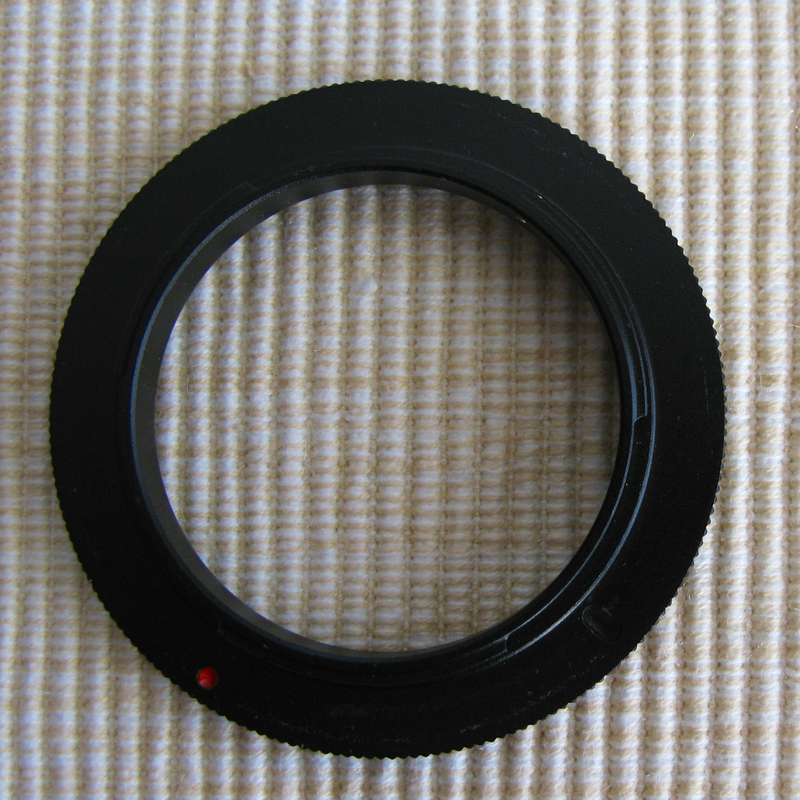 So to sum up the humble reversing ring is a cheap and cheerful introduction to the word of close up photography. You can get good results. 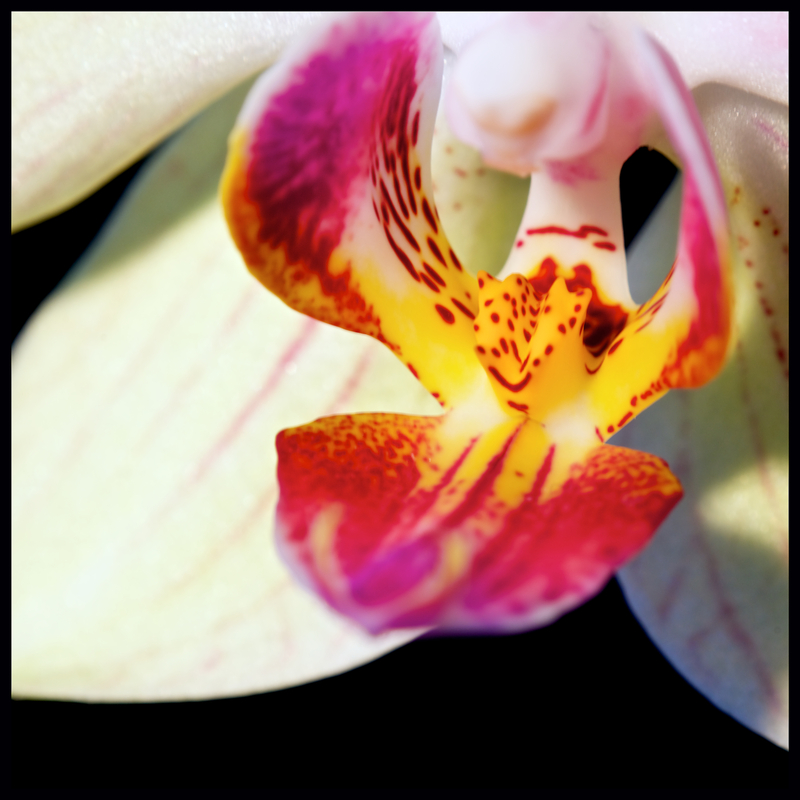 The title shot and the orchid below are a couple taken with an old manual focus Sigma 28mm lens from the 80’s.